Goodreads: How well do you really know the people in your life? Kritters Thoughts: Beatrice and Anna are a mother daughter pair and they aren't the closest of pairs. Although Anna doesn't know why her mother has distanced herself she has just let it be that way. Through some interesting turn of events these two end up planning Beatrice's wedding and learning more and more about each other and the past. This one started out rough for me, but once it got moving I was sold. I had a hard time reading it at moments because the mother is so awful. I came from quite the idyllic upbringing and it is hard to read when mothers and daughters don't have relationships, but about halfway through I got to know the stand offish mother more and more and could understand why she may have put her daughter at arm's length and I fell in love with the story. There was a line and I am paraphrasing, but it said something like you think you know those around you, but sometimes you don't know everything. And I agree completely. You can't know someone unless they let you in and some people are very open and easily let others in to see all their feels, but others are more closed off and never fully reveal themselves to you. I am in the open camp and am pretty open quickly to anyone, so it was interesting to read a character (Beatrice) who hadn't even let her daughter in close to see all her true colors. This book made me think and I love it when something that seems like a light read still makes me think about life and things! Disclosure of Material Connection: I received one copy of this book free of charge from Book Trope Publishing. I was not required to write a positive review in exchange for receipt of the book; rather, the opinions expressed in this review are my own. 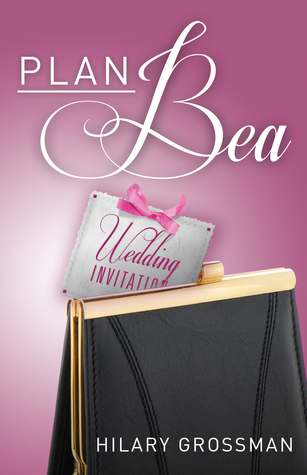 Thank you so much for reading and reviewing Plan Bea... I am so glad you fell in love with the story. It's funny, my relationship with my mom is the compete opposite of Anna's and Bea's. Like you I hate when girls and their moms don't get along but sadly it often happens..